Associate professor at the Department of Religion Education and Pastoral-psychology at Károli Gáspár University of the Reformed Church in Hungary. 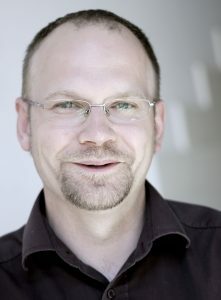 His main field of research is the connection between individual and community identity. Author of books and studies in the field of spirituality and religious development. Beside teaching, and being a pastor, he was also a business consultant and supervisor. He gained experience in the church, civil sphere and forprofit sphere as well. 2013 – leader of OD division at Civil Support Ltd. I was born in 1976 during the communist regime and was raised in a nonreligious family. After the communist regime collapsed, I heard from some friends that they attended religious education in the Hungarian Reformed Church. Though my parents were baptized as Roman Catholics I asked their permission to visit the Reformed Christian religious education class when I was in the seventh grade. After finishing primary school I decided to attend a newly re-established religious secondary school. Before the start of the school year our teachers organized a summer camp for the students and it was during this week that I truly understood the gospel and accepted Jesus as my personal savior. At that point of my life I was given an important Bible verse: “I, the LORD, have called you in righteousness; I will take hold of your hand.” (Isaiah 42,6) The Word of God gave me a new perspective for the interpretation of my life: I am not merely the person the others see or I consider myself to be. First of all, I am God’s child and I can view my life-story as such. I realized that I can define myself in the light of the Word of God and of my relationship with Jesus Christ. After my conversion I became an enthusiastic member of a youth group and later on a co-leader of a Bible study group for younger children. From an early age I prepared to be a geologist and participated in national competitions in this field but at the age of seventeen my teacher of physics asked me to decide whether I would stay in the study group that was preparing for the university entrance exam in physics or if I would go in another direction. I found this question interesting, because my grades were good, but maybe my teacher sensed that I could have a different goal in my life. I went home to my parents I told them that I would prefer to study theology. They said they had already known this months before this conversation, and accepted my decision. At the beginning of my theological education I understood my vocation through a Bible verse: “Those who are wise will shine like the brightness of the heavens, and those who lead many to righteousness, like the stars for ever and ever.” (Daniel 12,3) This call is a life program that I can never truly fulfill, but through the grace of God I can pursue to be a small light among my people. Theological education raised many questions in my life. In order to come to terms with these life questions I took a year off and went to L’Arche Communities to serve people who live with disability. I spent nine months in the Liverpool L’Arche (UK) and three months in the Ravensburg L’Arche (Germany). During these years I felt a tension between what I heard from the pulpit and what I saw in real life. In some cases my friends and colleagues made great personal sacrifices at the L’Arche communities, but at the same time I heard Christians criticizing the world of sinners but not living the joy of the gospel. After finishing my Master of Divinity program in Budapest I had an opportunity to study Christian education at the Union-PCSE (Richmond, Virginia). Because I came from a non-religious background I always had to face the challenges of a non-religious value system, which made it hard to come to turns with my family roots. Before my ordination God showed me that he would make up for what I missed from my parents and ancestors. After my studies I entered the ministry as a university chaplain and later on, while a PhD student, I was serving as deputy minister in a congregation in Budapest and for few months at the Airport of Budapest. Writing my PhD was also a spiritual journey for me, because reflecting on how human life stories and God’s story are intertwined helped me to reflect on God’s work in my personal story as well. I married a formal classmate, she became a pastor at a Mission Institute and later in a congregation. We have three sons. After finishing the PhD program I was invited to be the leader of the Youth Office of the Hungarian Reformed Synod, which meant that I was in charge of organizing nationwide youth activities, festivals and training programs for youth leaders. After four years of leading this office I was invited to be a teacher of communication studies at the Károli Gáspár University of the Reformed Church at the Faculty of Humanities. During the time of teaching communication studies at the university I became a consultant of a for-profit organization, worked as a trainer in a nonprofit organization, and studied supervision as well. Five years ago a former dean of the Faculty of Theology invited me to be a teacher of pastoral care and Christian education at the faculty, because the professor became very ill and his former assistant left the university. At that time I was sure that I would not accept this invitation, because I felt at home at the other faculty, but still I prayed and reflected on this invitation for months. Finally, I had to realize that it would be a great joy to serve God and the church as a teacher of theology. So I accepted this call. I would love to see my spiritual journey as part of the story of the Kingdom of God. This way, I am not just a human who experiences suffering, struggles with difficult situations, and realizes the fragmented character of my life, but I can consider myself and my future as God’s saved child. The “success” of my story is in being in a relationship with God as His child and acknowledging this without regard to social or also ecclesiastical expectations. Likewise, I don’t think that teaching at a theological faculty is the only work I could do and I also don’t think only I could do this task, but at the present I understood that God wants me at this place and I do it with pleasure till it is in accordance with God’s will, and fruitful for the community and myself.